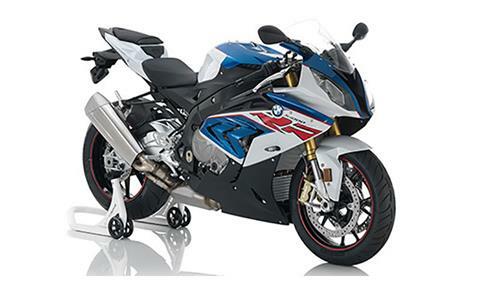 The BMW S 1000 RR led to a revolution in the supersport motorcycle category right from the outset. In the time since, the bike continued to be developed, its tried and tested concept being honed even further and the latest technology added. Because of its impressive power curve and performance, one constant factor remains: it is still a trailblazer today. 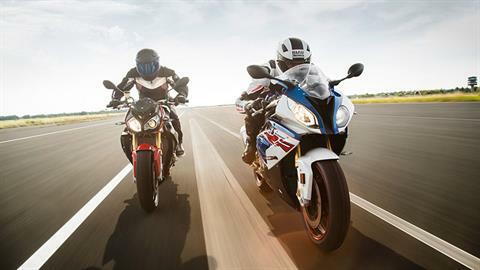 The S 1000 RR now comes with Dynamic Traction Control (DTC) as standard for even greater riding dynamics and road safety. 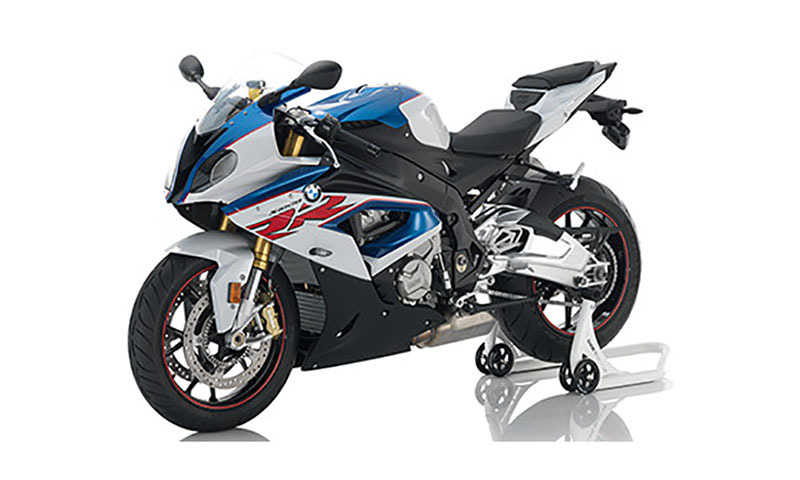 It is a thoroughbred among sport bikes – whether on the road or on the racing circuit, and its innovative technology allows you to experience its performance with greater intensity and immediacy than ever. THE LOOK OF A WINNER. OR A HIGH-PERFORMER. OR A FIGHTER: The RR is the epitome of a superbike. With its distinctive design features like the split face and asymmetrical front headlamps, it is instantly recognizable. The razor-sharp flyline gives it a look of extreme clarity, its contours and shapes complementing each other superbly. It radiates a love of straights and bends from the front to the rear and its hunger for high-level performance is plain to see. The RR shares its desire for pure acceleration and speed with you. WINNING STATISTICS. 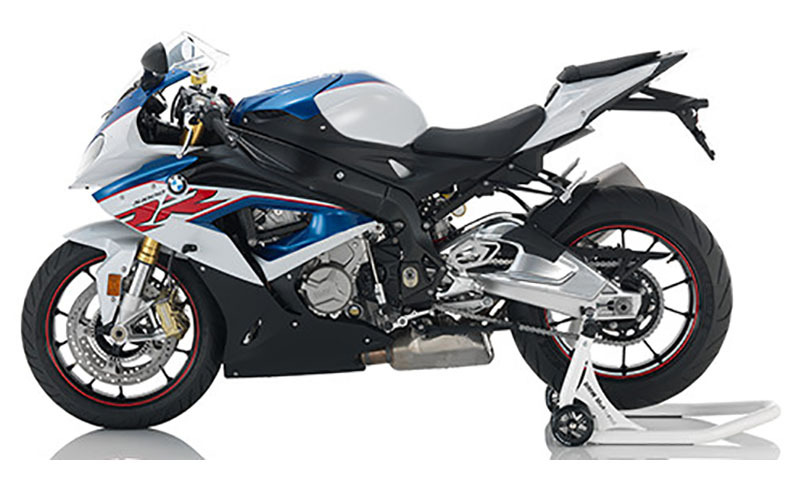 ALMIGHTY PERFORMANCE: The S 1000 RR’s liquid-cooled four-cylinder in-line engine is capable of 199 hp (146 kW) at 13,500 rpm and a maximum torque of 83 ft. lb. at 10,500 rpm. Yet even with this level of performance, the standard Dynamic Traction Control (DTC) ensures significantly greater safety. 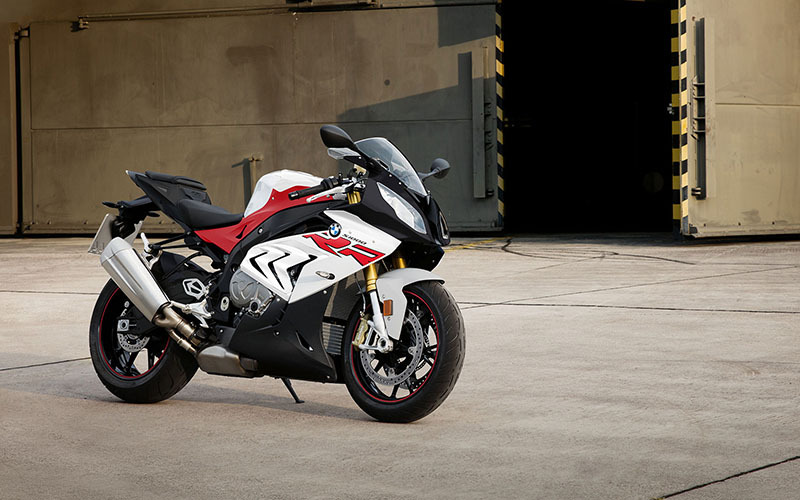 FOUR-CYLINDER IN-LINE ENGINE: 199 hp (146 kW) at 13,500 rpm. 999 cc capacity. 83 ft. lb. at 10,500 rpm. 459 lb. weight fully fuelled, road-ready. 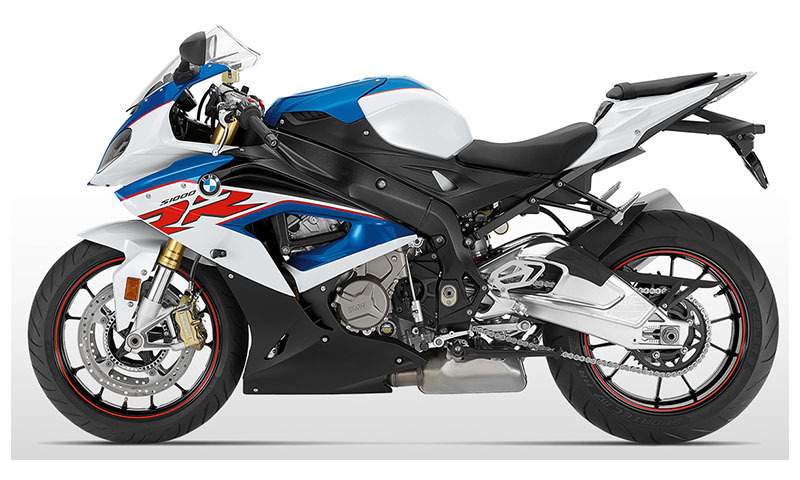 Liquid-cooled 4-stroke in-line 4-cylinder engine, four valves per cylinder, double overhead camshafts, wet sump lubrication. SPLIT FACE WITH LARGE AIR INLET: Aggressive and dynamic. Whether in the rear mirror or face-to-face – the unmistakable front of the RR. RACING SPORT BRAKE PADS: Breathtaking: the RR goes from 100 to 0 even faster than from 0 to 100. 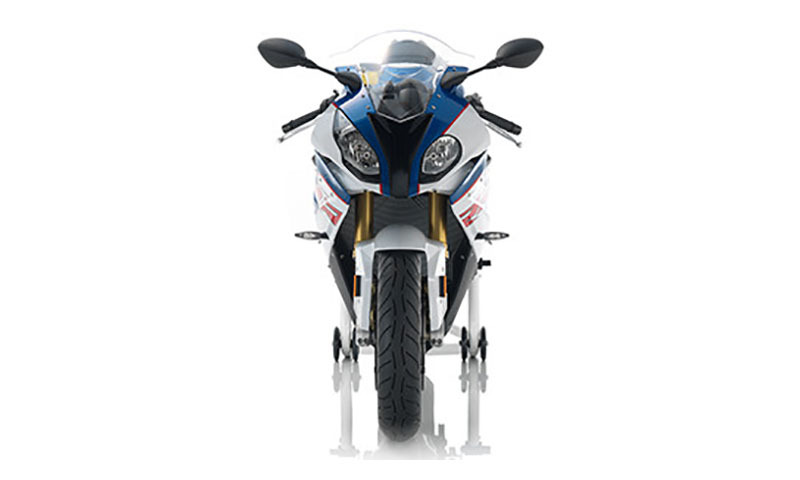 Added to this is the BMW Motorrad race ABS for super-sporty operation purposes. COCKPIT WITH ANALOG SPEED INDICATOR: Everything at a glance: the displays are aligned entirely to precise and swift recording of information – including shift light. BMW PLATE: The unmistakable design of the BMW S 1000 RR speaks for itself. TYPICAL GILL PROFILE: Striking recesses on the right and left side accentuate the asymmetry of the front in typical RR fashion. SWING-ARM FROM RACING SPORT: Developed for racing sport: the swing-arm presses the rear wheel formally onto the road. SLIM REAR: Nothing gets in the way on corners and tilts: the slim rear gives you absolute freedom of movement. 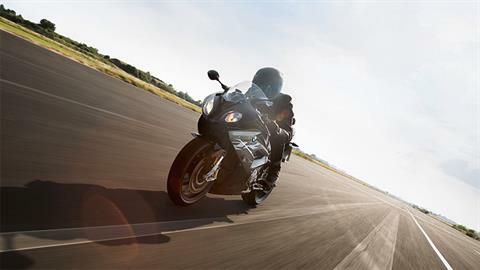 It ensures improved handling especially at the limits and crystal-clear feedback. 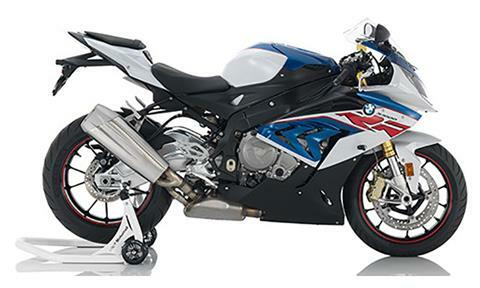 EXHAUST SYSTEM: Not only acoustically unmistakably RR: the exhaust system with dual flow guidance. 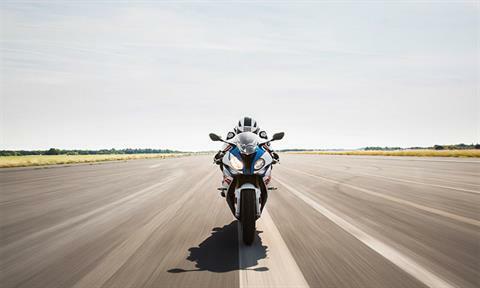 GREATER PERFORMANCE GUARANTEED: Numerous details enable you to experience the performance of the S 1000 RR even more intensively and maintain an even better overview in all traffic situations. 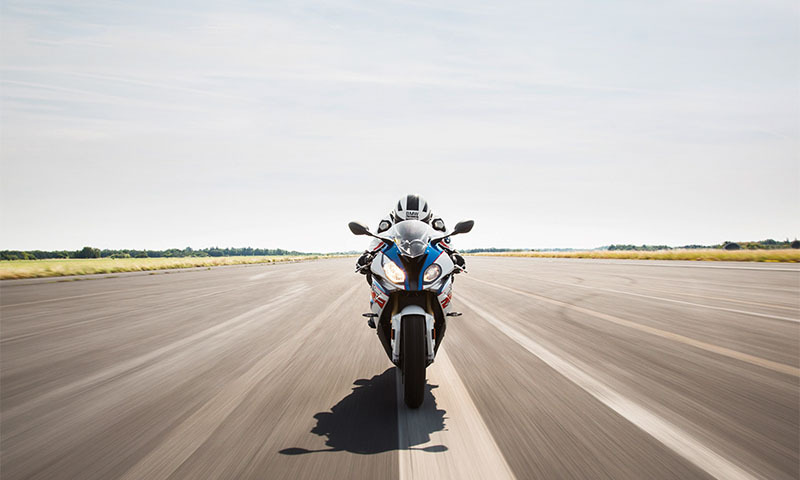 The three driving modes "Rain", "Sport" and "Race" ensure optimal coordination of electric throttle, ABS and ASC, even in differing conditions. The DTC Dynamic Traction Control and ABS, both of which now come as standard, ensure even greater safety too. 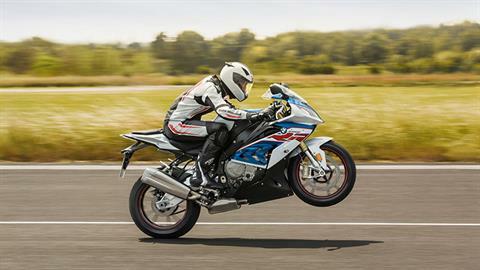 Electric throttle enables the bike's immense power to be dispensed even more finely and directly. With its exceptionally high resolution, the instrument panel provides a clear display of the selected settings along with road speed and engine speed. 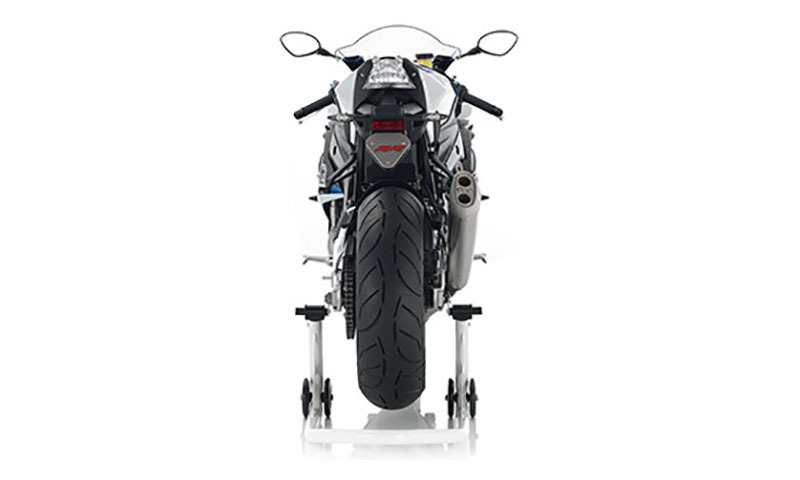 As a result you have an optimal overview of the RR's performance and of your settings at all times. Rear rim - 6 x 17 in.